For self-proclaimed foodies, sampling the local cuisine in every country you visit is a must. But how adventurous are you in your food choices? If you consider black pudding, haggis, and chicken feet as weird food, take a step back because you’re about to find out what’s really strange and weird. It’s time to stray away from the mainstream and give these delicacies a try – if you dare. WARNING: THIS POST IS NOT FOR THE SQUEAMISH, VIEWER DISCRETION IS ADVISED! Malaysia, home to the gastronomical delights like the famous nasi lemak, bakuteh, roti canai, and more with influences from many different cultures. If you’re travelling to the east, you’ll find traditional food like bosou (fermented fish), sinalau bakas (roast wild boar) and butod (sago worms). While you may find all of them equally as strange, butod is the one that’ll make your stomach crawl – literally. Just kidding! The Philippines’ balut is probably one of the more controversial delicacies out there. 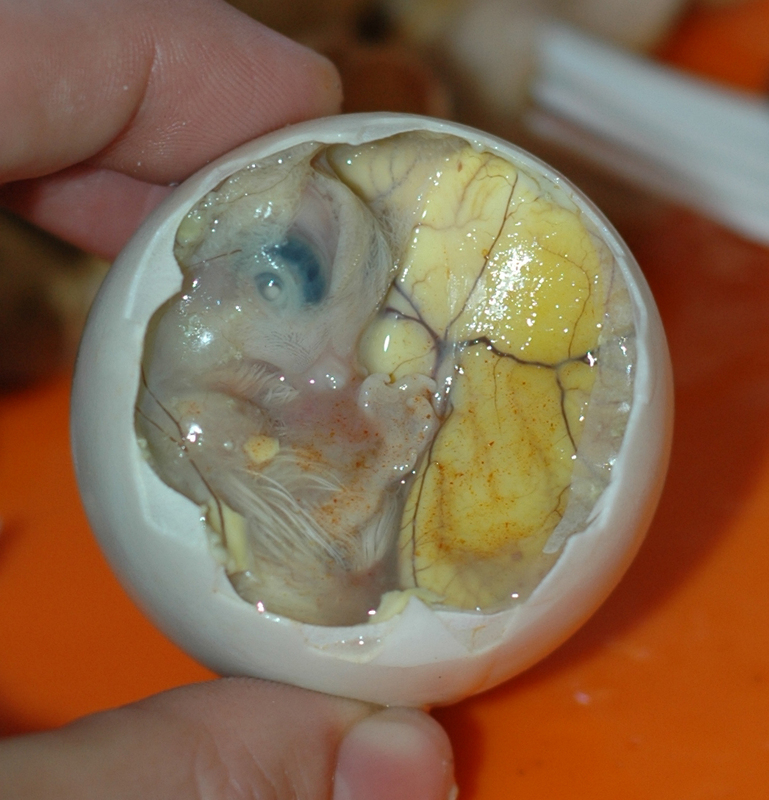 Balut is a hard-boiled egg containing a partially developing duck embryo that’s eaten directly from the shell. Why exactly is it so controversial? Depending on the incubation period, some of these embryos have recognisable duckling features like eyes, beaks, and feathers. This has raised concerns over animal welfare, and whether eating a partially developed duckling is ethical. Escamoles is a dish of edible ant larvae and pupae from an ant species that nestles deep beneath agave roots. Due to its appearance, it’s sometimes called ‘Mexican caviar’. 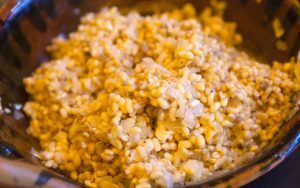 The texture of escamoles is similar to cottage cheese, with a nutty and buttery taste. They are traditionally cooked with onions and chilli, then eaten as a taco filling. Do creepy crawlies creep you out? Your biggest fear may just be a popular street food in Thailand. 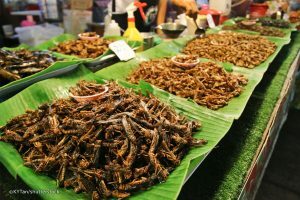 You can find these crunchy delicacies on an insect cart, often with 5 to 10 different choices to choose from. 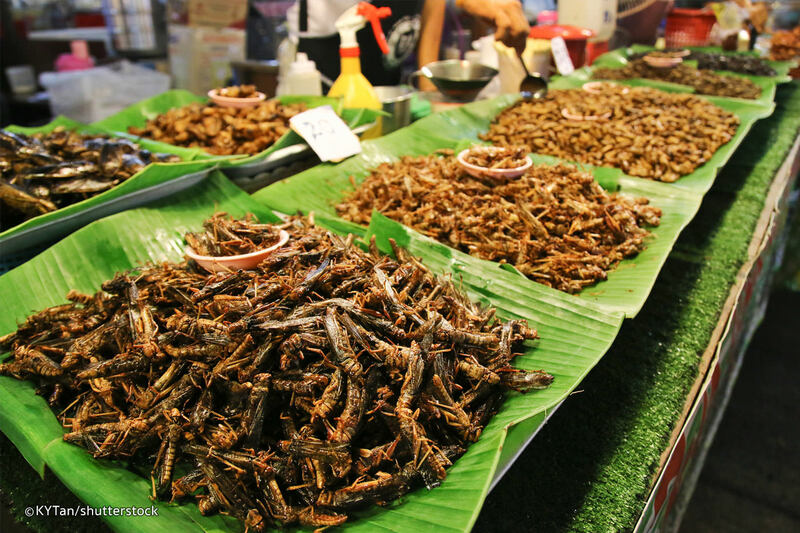 Popular choices include grasshoppers, silkworms, crickets, and more. These creatures are well-seasoned and deep-fried to a crisp – no different than your regular potato chip. They may look a little daunting, but once you get over their appearance, you’ll find they’re not so bad. 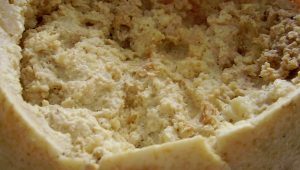 Casu marzu literally translates to ‘rotten cheese’, and it’s—brace for it—sheep cheese containing live maggots. If you’re not put off by this and want to get your hands on this elusive cheese, you’ll be sad to know that it’s extremely difficult to obtain. 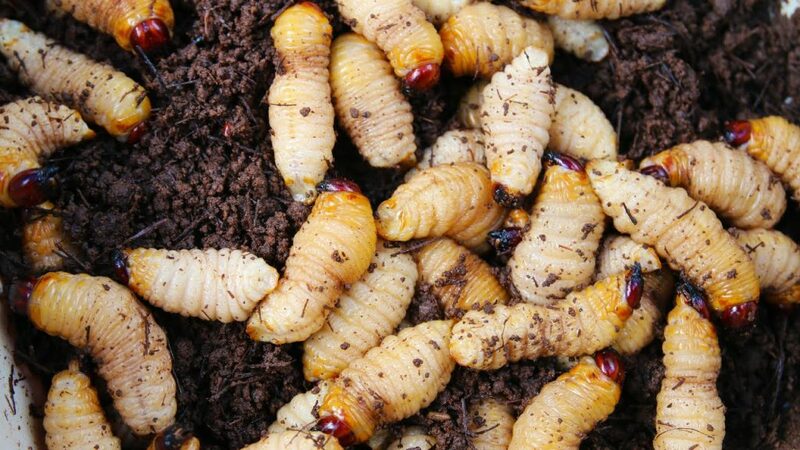 Due to obvious health and safety concerns, this maggot infested cheese has been banned by the European Union. Therefore, the only way to have a taste is through the Italian black market. 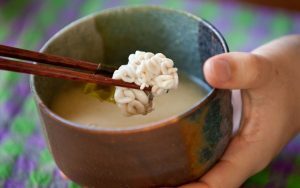 Japan has its host of unique and weird food like fugu and sea urchin, to name a few, but shirako takes it to another level. Shirako translates to ‘white children’ and refers to the sperm sacs of male codfish, anglerfish, or pufferfish. Resembling a tiny brain, you can have this raw or cooked. The taste is somewhat creamy, similar to custard but lighter. If the thought of it doesn’t sit well with you, just think about this way, they’re just the opposite of caviar. 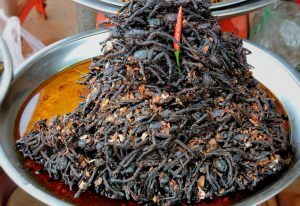 Not for the fainthearted, this regional Cambodian delicacy is popular among locals and tourists alike. A species of palm-sized tarantulas called ‘a-ping’ are deep-fried until the exterior is crispy, with a soft centre. This unusual dish tastes a little like a cross between a chicken and a cod, but some also say it tastes like crab. If you’re brave enough to indulge in this terrifying dish, you can definitely call yourself an adventurous foodie!